This is your guide to everything you should know before getting a root canal as well as what to expect during the procedure. 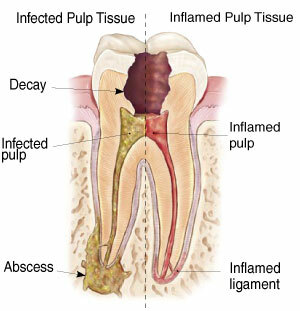 Sometimes, tooth pulp may become damaged or diseased without presenting any symptoms. In these cases, the problem is usually diagnosed by special tests or x-rays during a dental check-up or treatment for other dental concerns. The dentist will listen to your symptoms, examine your teeth and perform other special investigations. You may need one or more visits to complete the endodontic treatment, depending on the complexity of the case.